SunOpta announced an expansion of its May 4th recall of Planters brand sunflower kernels. The recalls all stem from SunOpta’s sunflower processing plant in Crookston, in northwest Minnesota. Both the initial recall and the subsequent expansion affect Planters branded sunflower kernels that the manufacture believes may be contaminated with Listeria monocytogenes, a bacteria that causes a disproportionate number of potentially fatal infections in young children, people above the age of 65, and others with compromised immune systems. The Planters recall is one part of larger recall of sunflower seeds and kernels that involves several major food retailers and producers. SunOpta recalled bagged sunflower nuts under the Planters brand on May 4th (Planters is owned by corporate giant Kraft Heinz) and a brand called Dakota’s Best Biggy’z, a more regional brand. All products in the recall had been packaged by SunOpta. 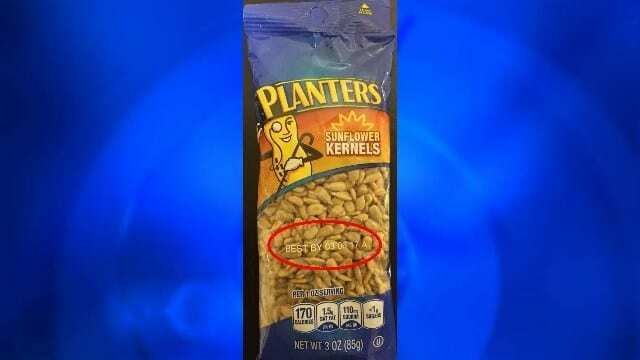 The extended recall affected three-ounce bags of Planters’ sunflower kernels. The bags are marked on the front or back with “best by” dates spanning from March 13, 2017 to March 16, 2017. In addition to the Planters kernels, the company added Sunrich Naturals one-ounce bags of kernels as well. All of the recalled products originated from SunOpta’s Crookston, Minnesota plant. Toronto-based SunOpta, an ingredient supplier, has administrative offices in Edina and several plants in Minnesota. Since that initial recall on May 4th, Giant Eagle and Kroger – two large supermarket chains – both recalled sunflower nuts that had been supplied to the chains by SunOpta. In addition, Trader Joe’s was forced to recall broccoli and kale salads that contained sunflowers produced by the company. In addition, one of the nation’s largest private-label food makers, Treehouse Foods, recalled dozens of products, including multiple snack bars, and numerous items sold at Hy-Vee grocery stores. Quaker Oats earlier this week recalled a small number of Quaker Quinoa Granola Bars. On May 6, Aldi and American Importing Co. recalled 10.5 ounce bags of Southern Grove sunflower kernels with various best-by dates. Neither Quaker Oats, Aldi or SunOpta will comment as to whether or not the kernels were supplied by SunOpta. This recall, although due to fear that products were contaminated with Listeria, is not linked to the massive recall of 352 frozen fruit and vegetable products by CRF Frozen Foods, also due to listeria-related concerns.